What if one day you can group chat with your friends no matter what phones they are using, be it an iPhone, Android, Blackberry or Windows Phone 7? They even get SMS if the phone they are using does not have the app. Now you can. Check out GroupMe. Start a group, add your friends, and we’ll give you a free phone number for it. 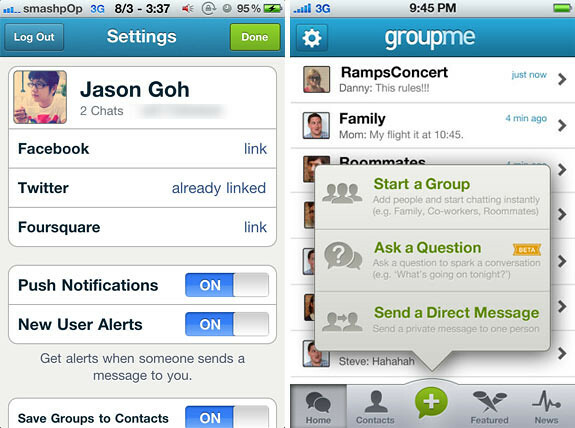 GroupMe is the easiest way to start conversations and keep in touch with your real life network. It’s totally free, and it works on every phone. With apps for Android, iPhone, BlackBerry, and Windows Phone 7, as well as full support via SMS*, you can connect with anyone you know at any time. This is how it looks like on the iPhone. Once you open the app for the first time, you will need to sign up for an account. 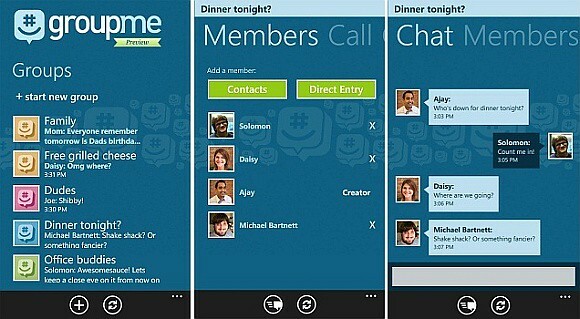 Then the app will scan through your phonebook to find GroupMe friends. Start a group conversation by creating a topic and adding members into the room. The app looks great on Android too! Apart from creating groups, you can ask a question and post it to Facebook or Twitter (and of course to your groups). -Start groups with the people already in your contacts. -Send and receive messages using your data connection, so iPod touches can join in on the fun. -When you have a poor connection, the app can switch you to SMS so you’ll never miss a message. -Share photos within any conversation. -Every group gets a unique phone number. -Any group member can call the number to start a group conference call. -Ask a question to spark a conversation. 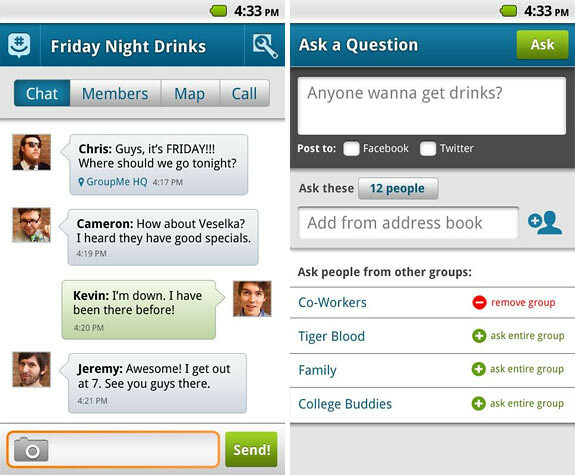 -Plan a night out with friends, see who else is around, or just talk about the game on TV. -Direct it toward a few friends, or send it out on your social networks and see who responds. -People you ask can comment without joining—it’s fluid, lightweight, and fun! -Like a free text message, without ever leaving the app. … and Windows Phone 7 as well.